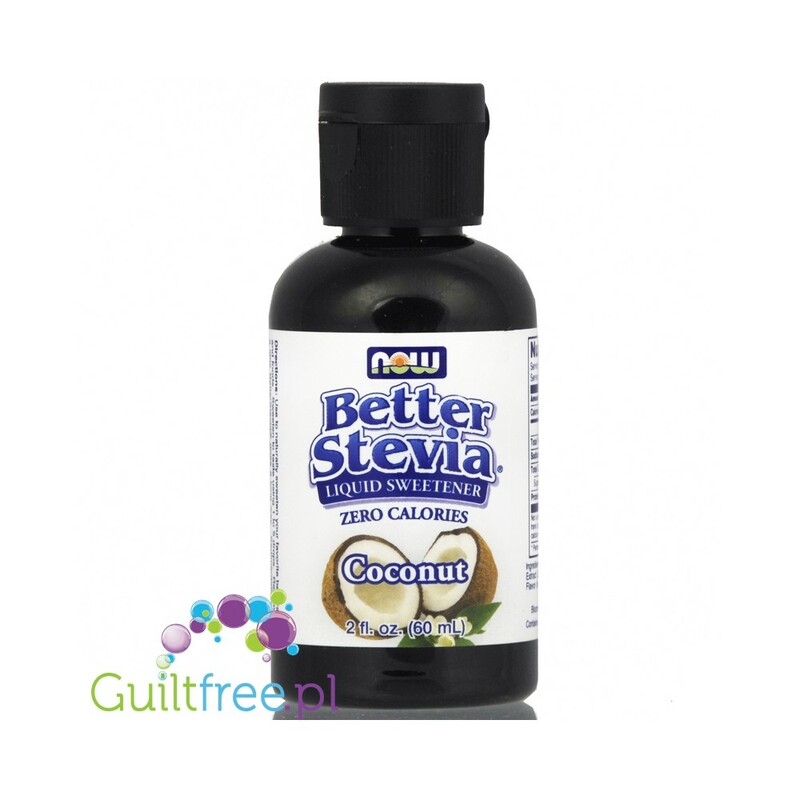 The combination of natural sweetener stewiowego with a natural coconut flavor in a bottle with a dropper, ideal as a coconut sweetener for beverages, yogurts, oatmeal and desserts - at the same time sweetens and gives the dishes a natural coconut aroma. Weight net. 60g. 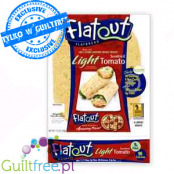 ; 66,32 pln/100g. 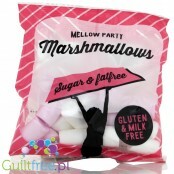 NOW Foods sweetening antioxidants are perfect for changing the taste of meals prepared from tasteless protein supplements, but also for 'embracing' traditional products: yogurt, cocktail, porridge or omelette. Flavor aromatics are highly concentrated, which means that just a few drops (usually 4-6) are enough to achieve the optimal sweetness and intense aroma. 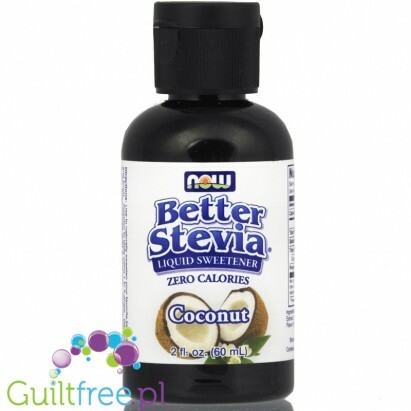 Better Stevia ™ by NOW ® Foods is a calorie-free, 100% natural sweetener with a low glycemic index, which is an excellent, healthy substitute for sugar and artificial sweeteners. 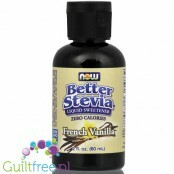 Unlike chemical sweeteners, Better Stevia ™ contains pure Stevia extract, which is characterized by a pure, sweet taste. 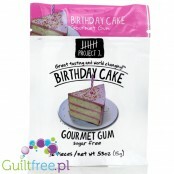 The product does not contain sugar. 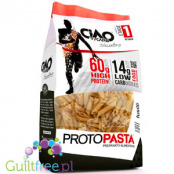 Nutritional value per 1 portion (one 0,15g impression): 0kcal, 0g protein, 0g carbohydrates (including 0g of sugar), 0g fats, 0mg of sodium; it may contain trace amounts of calories. Aromat karmelowy; aromaty Capella Flavours są uważane za najlepsze na świecie - te wszystkie pokrewne. Aromaty Capella nie osiągają cukru, ani trochę słodzące. 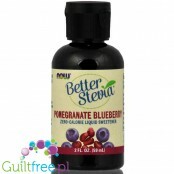 Combination of natural sweeteners with natural blueberry and pomegranate flavor in a bottle with dropper, ideal as sweetener for cakes, biscuits, omelets and oats - at the same time sweet and gives the dishes a natural, fruity aroma. Warrior Crunch Bars White Chocolate & Coconut is a crunchy protein bar. In one bar there are as much as 20g of high quality protein and less than 2g of sugar! 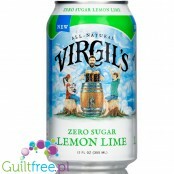 Virgil's has figured out the elusive alchemic formula of zero calories but real soda taste. No aftertaste, no bitterness, nothing weird at all - just regular Lemon Lime Soda taste. Complete (requires only adding water) a mixture for baking gluten-free bread without carbohydrates and with a high content of protein and fiber, finished bread has about 50% less calories in a slice than traditional bread. 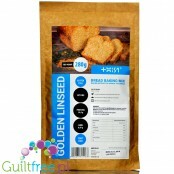 A mixture without soy and gluten, based on defatted sunflower, linseed, almond and coconut flour. 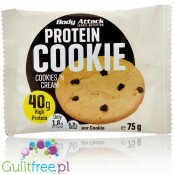 Extremely delicious, soft protein cake with unusually high protein content - up to 40g of protein in one filling fcookie. Body Attack emphasizes the quality of the protein, thanks to which each cake delivers as much as 5.2 g of BCAA protein (L-leucine, L-isoleucine, L-valine). 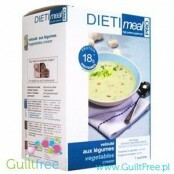 Aromatic, creamy soup with pieces of vegetables provides a feeling of fullness for long hours. 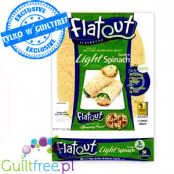 One serving is only 96kcal, and only 5g of carbohydrates, and at the same time as much as 18g of protein! Do you train intensely? You are on a diet? DIETImeal PRO soup is the perfect lunch or dinner for you!